The perfect gift for countryside enthusiasts. Hand carved and painted, our country ladies and gents are dressed for dressage, fishing and gardening, or for rousing weekends in traditional tweed. 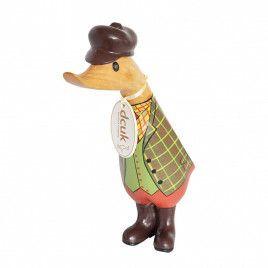 Pick the one that most closely matches the personality of whoever you are treating, or choose a companion that will look perfectly at home in their countryside abode.